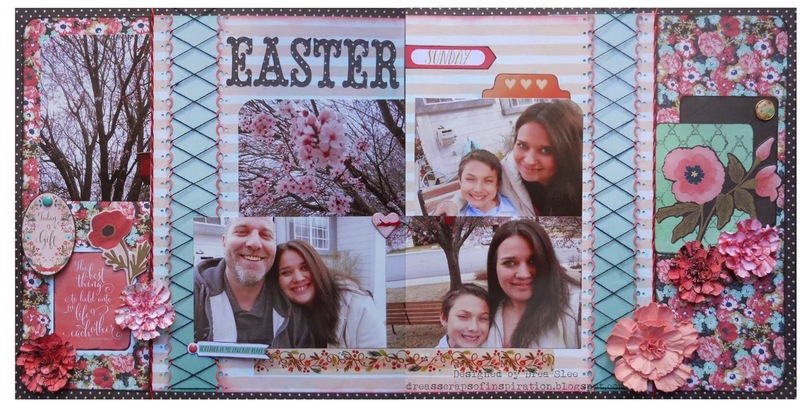 I created this Easter 2 Pager using the beautiful new collection, Market Street ~ Ashbury Heights, by My Mind's Eye, from FotoBella. I don't think I've ever used black in an Easter layout before, but I like it here, and thought it would work well with the papers. The black lacing up the sides was done after punching the striped paper. Then I hand-stitched the red and pink along the punching. 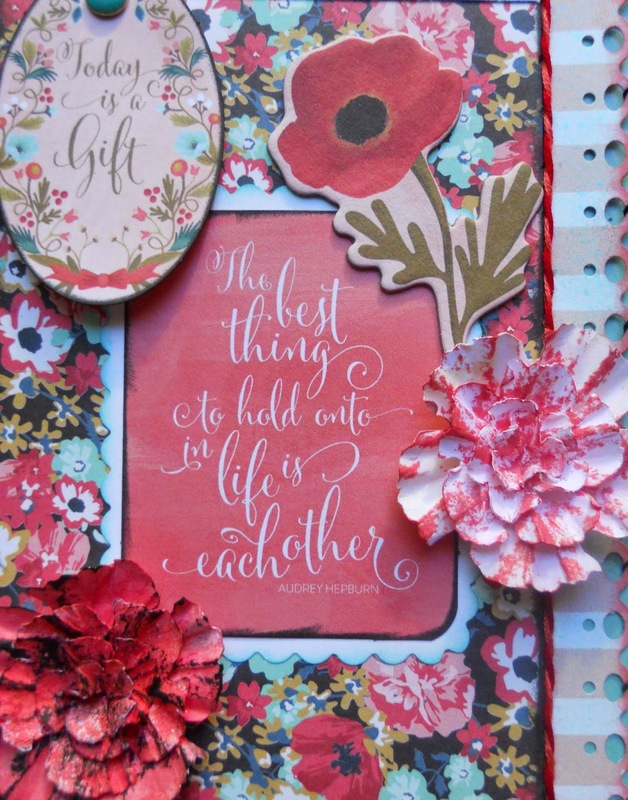 I used the chipboard flower on the left side, going over the quote that comes in the Mixed Bag. The oval tag and banner tag under the bottom left photo, comes with the Decorative Brads, which I also used on the right side. I used some Decorative Tape under the bottom photos. 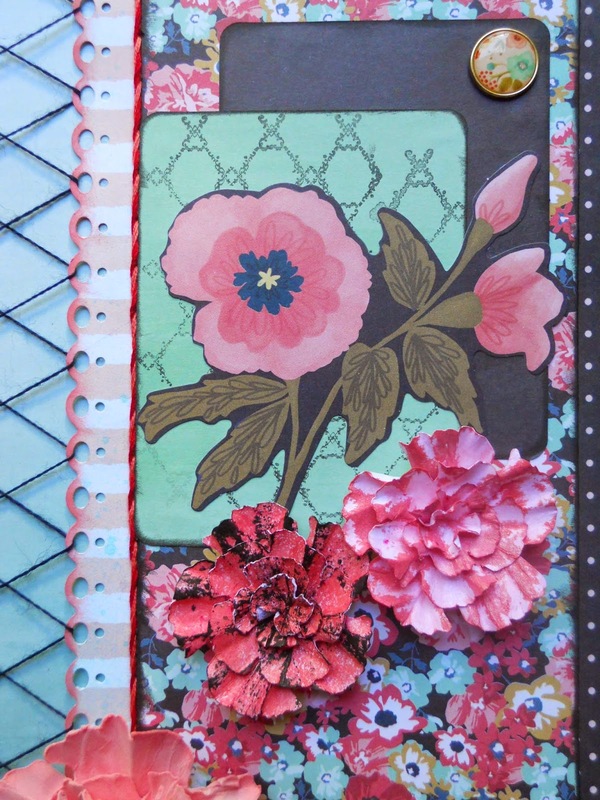 On the right side, I used the Journal Card Packs, stamping the aqua green one with a Prima stamp. The large pink flower on the right was one that I had made a long time ago, and actually inspired the other flowers, which I made using this tutorial that you can find on my blog. This is a great double layout!!! I love the flowers.